Sobeys Inc. (EMPa.TO) and Metro Inc. (MRU.TO) have temporarily removed romaine lettuce products from their shelves after Canadian and U.S. health officials warned people to avoid eating the vegetable after a new E. coli outbreak. Sobeys issued a statement Wednesday saying it is removing 300 products containing romaine lettuce from Sobeys, Safeway, IGA, Thrifty Foods, Foodland, FreshCo, Lawton's Drug Stores and its Sobeys convenience store banners in all provinces. Metro confirmed in an email to BNN Bloomberg it would also temporarily remove romaine lettuce from its shelves. The Public Health Agency of Canada says the outbreak has sickened 15 people in Quebec and three in Ontario -- with six requiring hospitalization. It says one person suffered a severe complication that can result from an E. coli infection but no deaths have been reported. 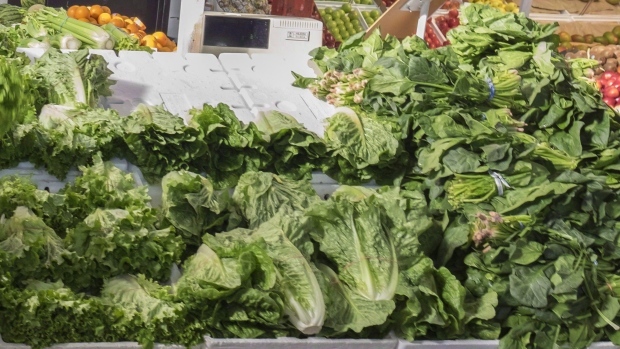 The E. coli strain identified appears similar to one linked to leafy greens last year. U.S. authorities reported 32 cases of E. coli saying 13 of the people who became sick were hospitalized. The Canadian Food Inspection Agency says it's working with U.S. authorities to determine the source of the romaine lettuce those who got ill were exposed to. The agency says that if the contaminated food products are identified in Canada, they will take the necessary steps to protect the public, including recalling the product.